Rising to an amazing 29 stories high above sea level, the residences in Atlantic One Tower in Aventura are among the most luxurious you will find in all of Aventura. Choose from among 2, 3, and 4 bedroom residences. Whichever one you select you will be able to enjoy a wealth of luxurious amenities. The amenities start with the grand entrance to the tower, an elegant two story marble affair that will take you straight to the elevators where you will arrive at a private entrance to your condo. Nothing has been overlooked in this tower. There are separate quarters to house your personal servants while on-site hotel suites are designed especially for your guests. The entire tower is a treat for the senses with a gorgeous cascading waterfall, an outdoor water garden with tropical landscaping and even a private theater where you can sit back, relax and enjoy stadium style seating. Other amenities include a childrens game room, a business center, an elegant tea room for welcoming guests, a relaxing library and 24-hour staffed reception desk and valet service, all for your convenience. You also gain terrace access to the Resident Club as well as the Spa. Rest assured that your privacy will be completely guarded. The entire property is electronically controlled as well as camera monitored. Private two-car garages are offered along with direct building access. There is even gate-controlled security access to the garage for additional security and privacy. In your condo you will also find an entire host of other amenities including living areas that are pre-wired for all of the state-of-the art technology you could imagine. You will be ready for todays technology as well as for any advancements that may be made tomorrow. Oversized terraces beckon you to enjoy the awe-inspiring views while the amenities inside will encourage you to sit back and relax. Each condo includes state of the art appliances, oversized bathrooms, large whirlpool tools, massive walk-in closets, sweeping ceilings and multi-zone individually controlled air conditioning and heating systems. With everything that you could want in terms of luxury and amenities as well as complete privacy and security, this address is one that you will be glad to call home. Whether you are looking for a cozy place to relax or someplace where you can frequently entertain business associates and friends, you will have everything you need in Atlantic One Tower. Please call our office Lana Bell – One Sotheby’s International Realty to get more information. 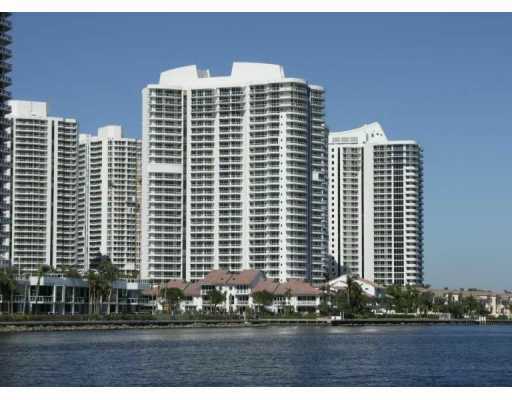 We are expert realtors servicing Bal Harbour, Miami Beach, South Beach , Aventura and Sunny Isles Beach areas. State-of-the-art appliance package including: Sub-Zero refrigerator/freezer, Bosch dishwasher, double oven and ceramic glass cookt-op, externally vented stainless steel cook-top hood from Best by Broan, a warming oven by Dacor, Everhot water dispenser, Kitchen-Aid microwave oven and heavy duty food waste disposer.